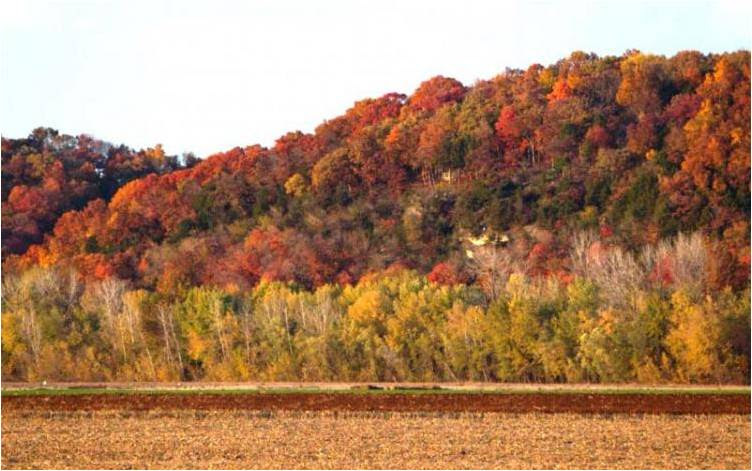 The Katy Land Trust has been working to keep the proposed Missouri Bluffs subdivision construction from moving forward. On July 25, 2018, Great Rivers Environmental Law Center filed suit in the St. Charles County Circuit Court on behalf of Weldon Woods, Inc., and Mark Kaiser, asking the Court to void the rezoning allowing a huge subdivision to be built on wooded bluffs overlooking the Missouri River. As you know, on July 25 a lawsuit challenging the St. Charles County Council’s decision to allow the Missouri Bluffs subdivision to proceed was filed by Weldon Woods Inc. The St. Charles County Planning and Zoning Commission voted 8 to 1 in opposition to the development, yet the County Council disregarded their recommendation. The Council’s action triggered this lawsuit. On behalf of Weldon Woods Inc, Great Rivers Environmental Law Center has been hard at work on this case since they filed it last summer. Yesterday, October 29, the most recent hearing was held at the St. Charles County Courthouse and a trial date for the case was set for March 12, 2019. For the hundreds of people who attended Planning and Zoning and County Council meetings from December, 2017 through June, 2018 and sent emails, wrote letters and called council members this is a great development and a tribute to your efforts. The hard work will continue for GRELC and their attorneys and there is no assurance of success. But for now, the 100-year-old oaks, hickories and basswood that cover the bluffs along the Katy Trail are still standing. The leaves are turning and the hillsides are full of fall color not tree removal and road building. There may be more opportunities for you to make your voices heard to ensure that these bluffs look the same way next October as they do today. We will keep you advised. For more information, timelines, opinion columns, next steps and more – CLICK HERE.